Simpson Duke 3.. in something different.. HORN! Here's something special for the day, I was able to pry off of Mark (again my thank you to you and your team for this). A simple Simpson Duke 3 but in.....Horn! Here's a few initial impressions on this... hope you enjoy gentlemen. This is really one of the most beautiful pieces I've seen in terms of quality and design. I must admit I was a bit skeptical when the photos came out at first as the design looks like 'what did you do to the DUKE!!!' but now having it in hand its really a wonderful sculpted piece of natural material. The handle is exceptionally solid and dense feeling very secure feeling, the polish is exceptional along with the grain in the handle. I feel no resin can match the pattern of a natural grain.. but that's my own fault lol... I've taken out the nice lens to take some shots in the hopes to give it justice. My only other Duke is in Moonjava so its a bit wild on the eyes, so apologize for that (I'll be sure to correct that and add a normal colored on in the future ). 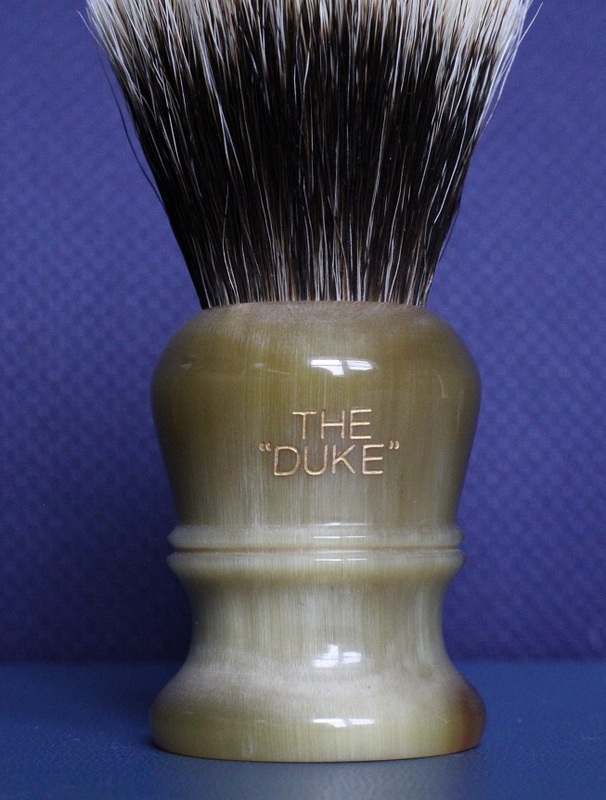 In terms of the handle shape, I can believe this would be a nice evolution to the thick waisted resin Duke 3, its something more than a subtle change to the eyes as we've all seen the D3 in circulation for years in its current form. But comparing it in hand to the original resin the tweak in the shape is very sensible. Its a comfortable design from the tapered upper body to the double ring and narrow lower half before the foot. Of the few horn handles I do have, this is a truly distinctive handle that is of exceptional quality that will be cherished for years to come. 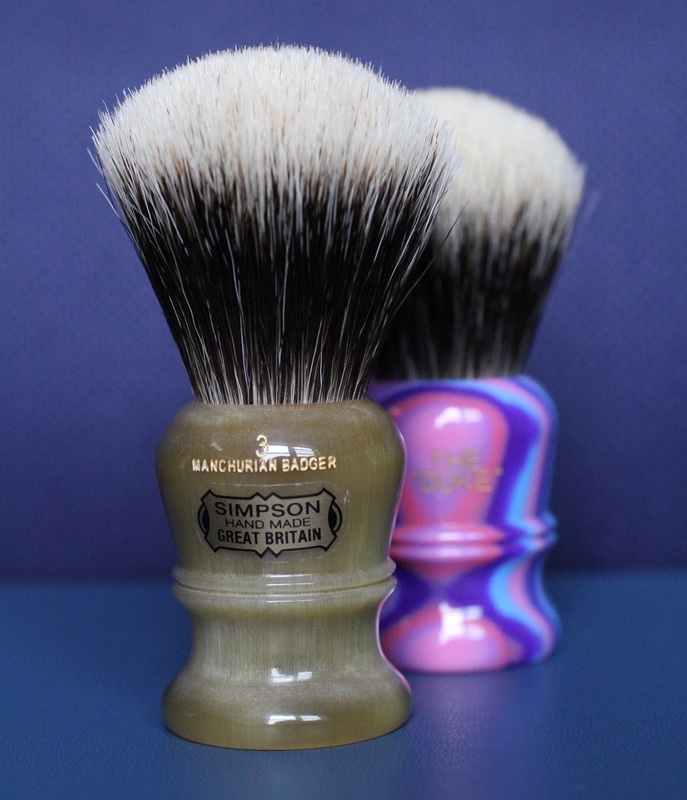 Lovely and congratulations on the new brush! 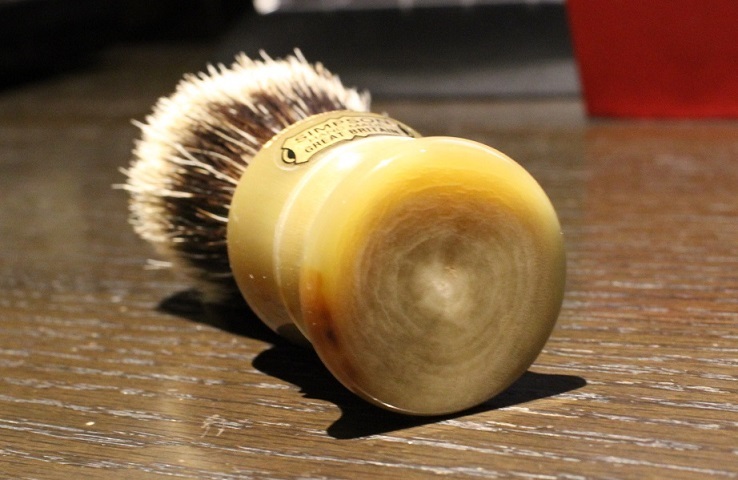 That's truly a gorgeous brush. Really really nice. I've been on a faux horn bender and I'm loving this. The knot in the M6 is great so this must be an excellent performer. Thank you for the many kind words. Its something I'm really fortunate to have been able to get. Really nice refles! The horn almost looks like jade. Thank you Charles! I agree this was one of the standout stunners, but if this is just a sample of the others, the remaining Chubby's and M7's must be of absolutely insane craftsmanship, to feel real ebony or the other woods, something special in the iconic shapes. The horn was so polished taking picture were a challenge as it reflected everything from the room. Thank you Luis! having authentic horn is like a night/day difference in hand. The grain and polish is quite different, very special indeed. (11-08-2014, 02:03 AM)Lando Wrote: Really nice refles! The horn almost looks like jade. Thank you Bill! The greenish jade tint was really unexpected its really something unique as this really shows off the material. A beautiful pair of Duke 3's! 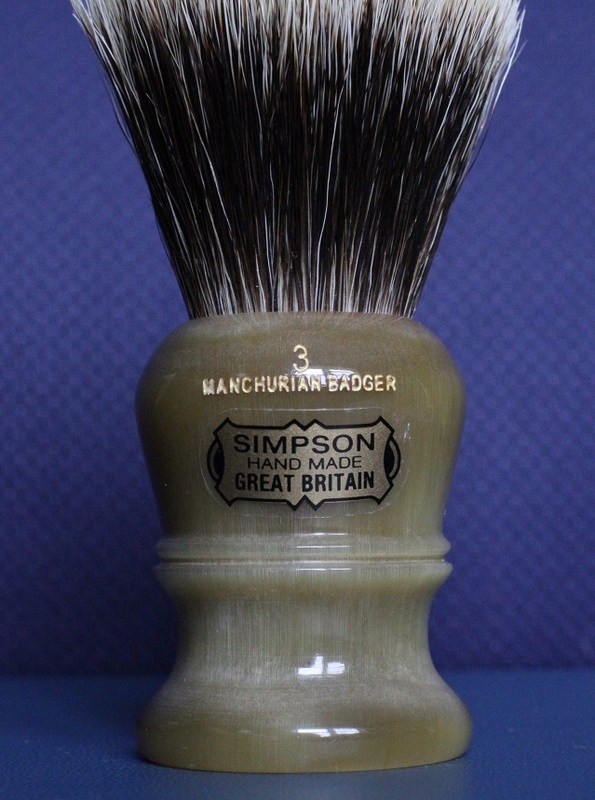 This is gorgeous looking brush, enjoy it ! Thank you Ricardo, Bony! Its like a proud parent looking at their child when I look at them. 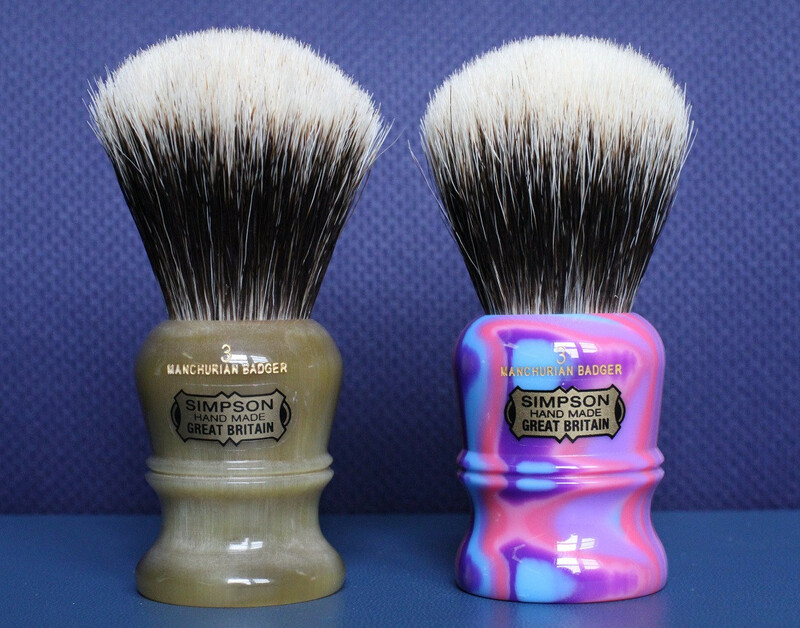 Not sure why Simpson's decided to make the natural horn more contoured, but it sure looks good on the old Duke. If I ever got my hands on something as spectacular as that, it would be a keeper in my den forever. Thank you for the kind words Wim & Reevers. That's the absolute truth that this new shape really carries the Duke model name well, there's no mistaking what model Simpson it is! 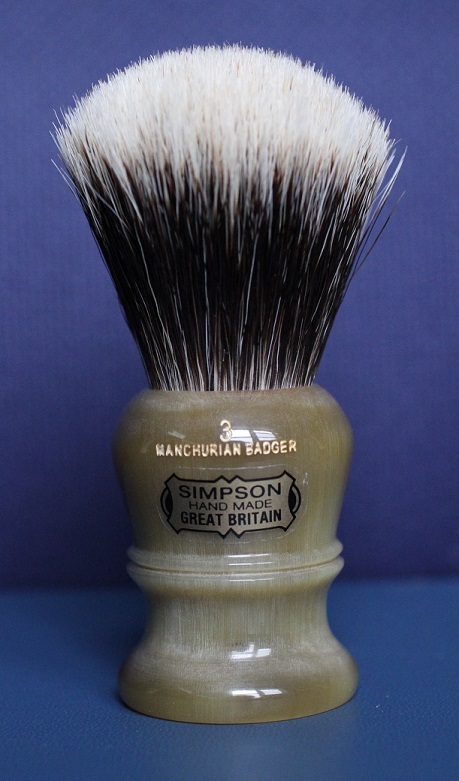 For all we know, with how long Simpson has been around this was one of the older shapes that the Duke had in the past.